Koh Chang is Thailand’s second largest island, situated on the eastern seaboard near the border of Cambodia. Koh Chang is a popular tourist destination yet it doesn’t have an airport, so it’s not as developed as Phuket and Koh Samui. Koh Chang hotels – Search for discount hotels in Koh Chang. About Ko Chang – Travel information from the official site of Tourism Authority of Thailand. Iamkohchang.com – Huge travel guide for Koh Chang compiled by Ian from Baan Rim Nam, a guesthouse near Klong Prao beach. 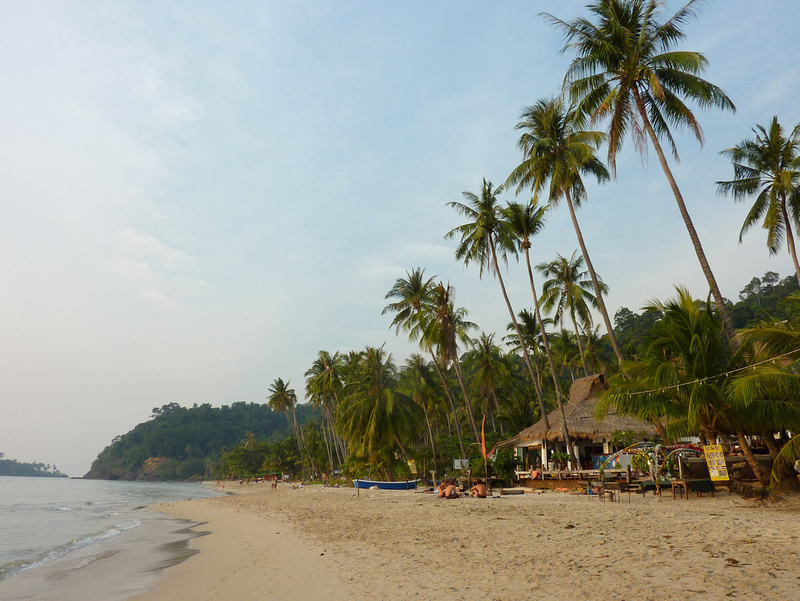 Ko Chang Travel Guide – Great summary of what to see, from the reliable Travelfish. Koh Chang: The perfect Thai island for solo travelers – By bemytravelmuse.com. Trip to Koh Chang, Thailand – By tielandtothailand.com. Lonely Beach is one the furthest beaches south on the island, away from the more developed beaches of the north where the ferries to the mainland are. Despite the name, Lonely Beach isn’t that lonely; there are plenty of beach goers here. Koh Chang Photo Gallery – Photo gallery of my visit to Koh Chang.